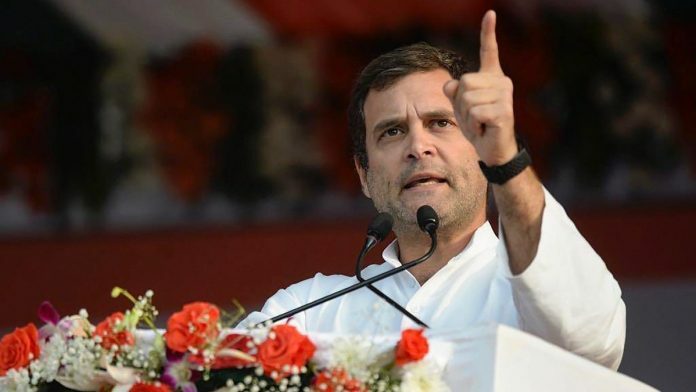 Pointing out that northeastern states enjoyed special category status when Congress was in power, Rahul Gandhi said the Congress will block the Citizenship Bill in the Rajya Sabha. Itanagar: Congress chief Rahul Gandhi said Tuesday his party will restore the special category status to Arunachal Pradesh and other states in the northeast if elected to power. There are some states in the country which require special status because of their “unique problems and difficulties” such as connectivity, terrain, infrastructure, Gandhi said at an election rally here. During the Congress rule at the Centre, he said, Arunachal Pradesh and other NE states used to enjoy special category status. Arunachal Pradesh has a special place in the heart of the Congress party and “we would like to have a ‘dil ka rishta’ with the people of the state”, he said. Gandhi said the Congress will not allow the Citizenship (Amendment) Bill to be passed in Rajya Sabha because the bill is “detrimental” to the people of the northeast. “We will not allow the suppression of the people of northeast,” Gandhi said. The Congress party will never attack the language, culture, customs and tradition of Arunachal Pradesh and other NE states, he said. Election to the 60-member Arunachal Pradesh Assembly and two Lok Sabha seats will be held on April 11.